Seven states will release a water plan — either in draft or final form — this year, and at least six other states are talking about updating existing plans or creating a first-ever plan. For context, only two states released water plans in 2013 and five in 2012. The South Platte River flows through Denver. Colorado is one of seven U.S. states in 2014 that are debating what to include in a new state water plan. Click image to enlarge. Alabama and Colorado were the last two states to unveil their plans in 2014. Official assessments of water resources and needs have a long history — a few states have had some form of water planning as far back as the Great Depression. But lately, the idea has garnered unprecedented popularity. A combination of pernicious drought, interstate conflicts, and the desire to ensure enough water for the economy and the environment has prompted an increasing number of states to take stock of their water assets and set priorities for using and protecting their rivers, lakes, and aquifers. In 2014, seven states — Arkansas, California, Colorado, Kansas, Montana, Nebraska, and West Virginia — will release a water plan, either in draft or final form. At least six other states — Connecticut, Florida, Indiana, New Mexico, South Carolina, and Utah — are talking about updating existing plans or creating a first-ever plan, but none have set a timetable. Across the nation, more states than ever before are embracing the planning process. In 2013, Alabama and North Dakota released water plans. The previous year, five states did so: Idaho, Oklahoma, Oregon, South Dakota, and Texas. Those enacted documents are already taking effect. Last November, Texas voters approved a $US 2 billion fund for financing water projects that were identified in its plan. Next door, Oklahoma set an ambitious goal for water conservation based on recommendations in its plan. Governor Mary Fallin (R) signed legislation proclaiming that Oklahoma would use no more water in 2060 than in 2012, when the bill was passed. That Texas and Oklahoma released plans in the same year may be a coincidence, but the fact that both states are interested in questions of water supply is not. The two butted heads in the U.S. Supreme Court last year over the lone star state’s rights to water across the border; Oklahoma prevailed. Neighborly competition is just one of many factors — including legal mandates, waning federal support, and drought — that are driving states to assess the adequacy of their water supply. The water-planning spree is happening for several reasons. Some states — California and Texas, for example — are required by law to periodically reassess their plans, and those updates are now coming due. States are also filling a void, argues Tim Feather, a vice president at CDM Smith, an engineering and consulting firm that helps states through the planning process. Fifty years ago, the federal government played a larger role in water planning and water-supply development, Feather told Circle of Blue. 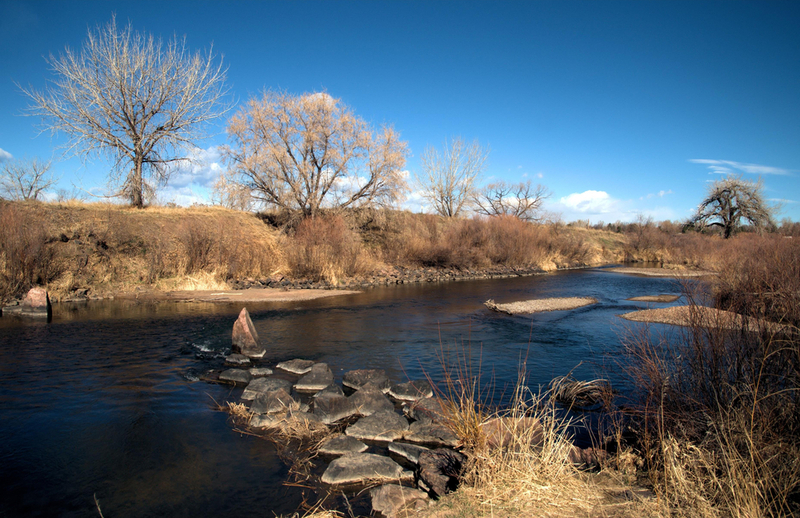 Though the federal Bureau of Reclamation has recently revived its river basin assessment program, funding for large canals and pipelines has largely dried up. Planning helps state officials rank which projects will receive low-interest state loans, a limited resource. A primary catalyst for the planning craze, however, is a fear of insufficient water supplies, said Peter Evans, executive director of the Interstate Council on Water Policy, a national forum for swapping ideas about water management. An intense drought has swirled around the southern tier of the United States over the last decade, leading to failed harvests, shriveled rivers, and water restrictions for cities. Economic losses from the dry cycle reach into the tens of billions of dollars for farmers, ranchers, river guides, and the shipping industry. State officials confirm these ideas. Edward Swaim, who is managing an update of Arkansas’s water plan, said that a drought in the late 1980s prompted the legislature to put more money into planning, resulting in a statewide water assessment in 1991. The next edition, due by the end of 2014, will assess shrinking groundwater reserves and infrastructure spending in the Mississippi River Delta. “We’re asking what we can do to maintain our economy and culture, without destroying the source of our abundance,” Swaim told Circle of Blue. In Montana — where the legislature ordered the state’s first comprehensive water plan in 2009 — peer pressure is a motivating force, according to Michael Downey, supervisor of the Department of Natural Resources water-planning section. “You start to worry that your neighbors know more about water use than you do,” Downey told Circle of Blue. Montana’s draft plan will be sent to the legislature in September. Though the content of each plan is particular to each state’s needs, a few factors are common: estimates of current and future water supplies, projections of future demand, and targets for water quality. In addition to those items, Evans has observed one noteworthy change in the most recent generation of water plans — how to use less water and use it more effectively. If nothing else, plans spark conversations. Expect plenty of public debate in 2014 about how best to use a fundamental resource.